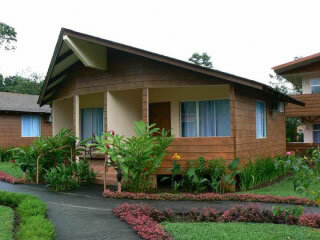 Villas Eco Arenal is conveniently located just 4 minutes from downtown La Fortuna, gateway to the Arenal Volcano area. 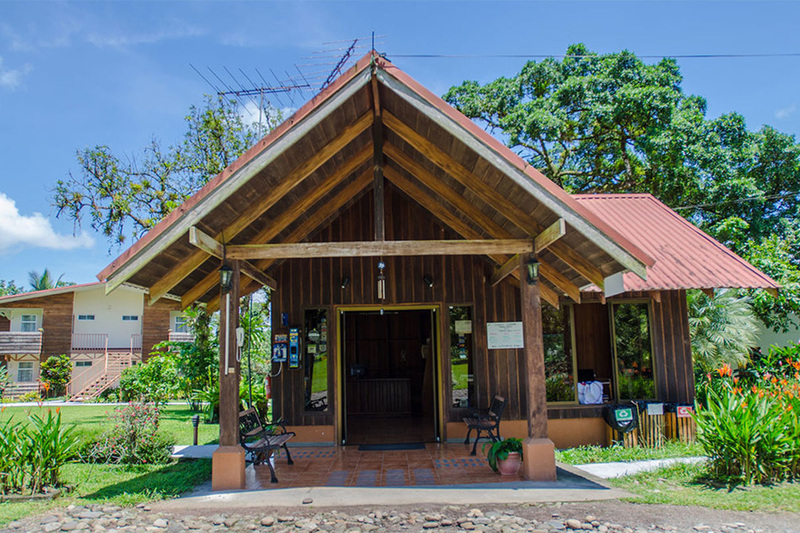 The lodge offers a tranquil environment in harmony with nature where guests can enjoy beautiful gardens and a pure stream that runs along the property, offering shelter for a wide variety of flora and fauna. 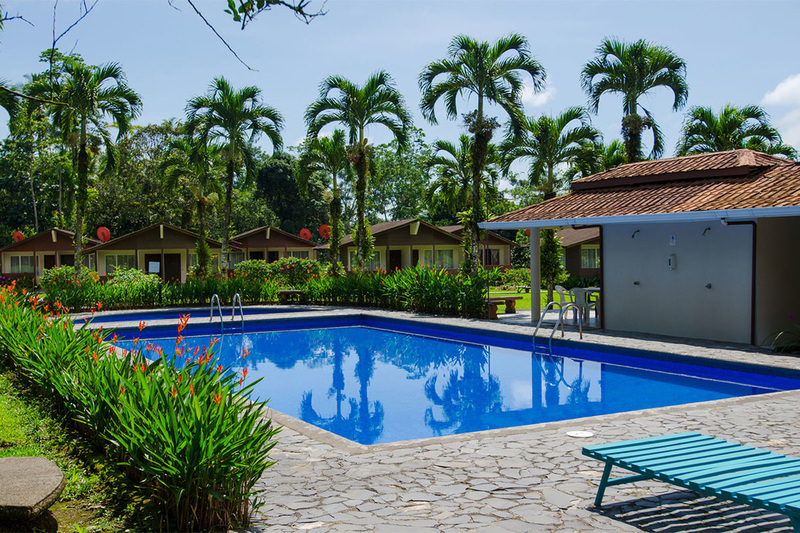 The Resort features a variety of services and facilities for the enjoyment and comfort of the guests including: swimming pool, baskeball court, and laundry service. 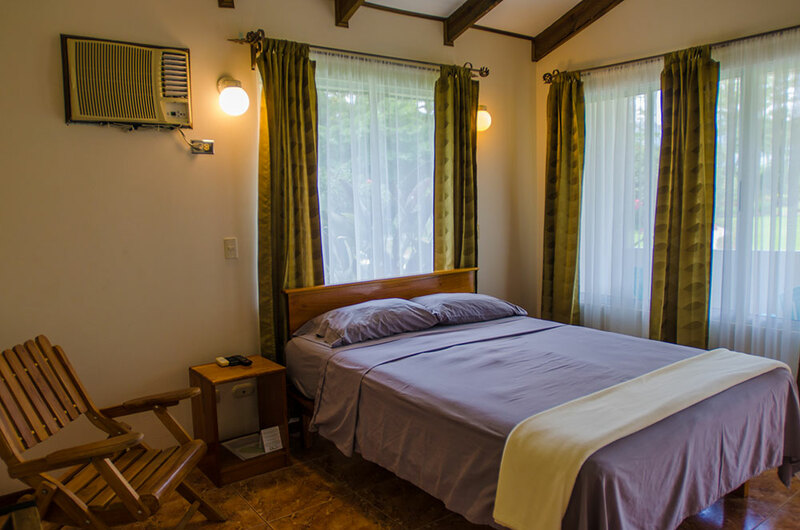 There are 24 rooms equipped with mini-bar, satellite TV, phone-in-room & A/C, with a captivating view of the Arenal volcano. 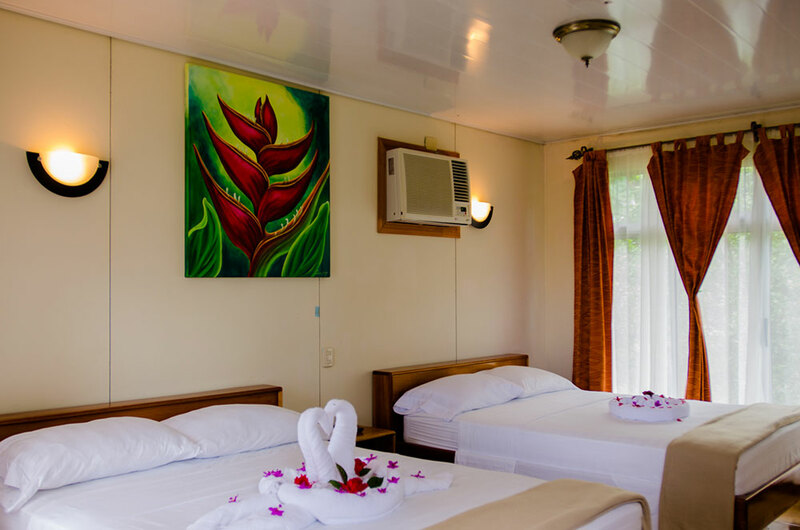 There are also have 4 fully equipped villas fully with kitchen appliances. 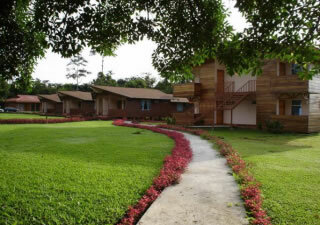 Villas Eco Arenal actively participates and supports programs of social and environmental responsibility in La Fortuna.